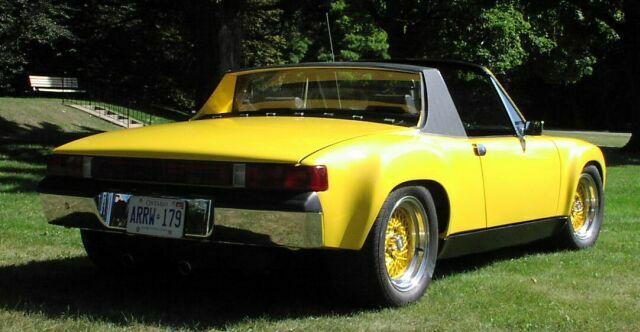 Originally a 1.7, then a six, then a 2.0, this car had some rust in most of the usual 914 trouble spots, though it hadn't yet succumbed to serious sag. 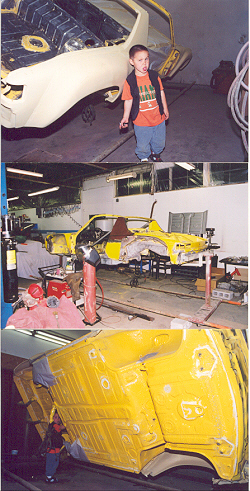 As you can see is undergoing full restoration and progressive conversion to a 914/6 GT replica. It features stiffened 11ga. galvanized longitudinals, a welded-in GT chassis stiffening kit, flared fenders, 911 SC front suspension and brakes, rear and adjustable front sway bar, adjustable Koni shocks and stiffer springs all 'round, and 8" BBS rims. The stock interior has been reupholstered, and features a Momo wheel, 4-point belts, and shifter knob. A pair of GT-replica racing seats is in the works. The car has been painted to match the factory L13K colour code. 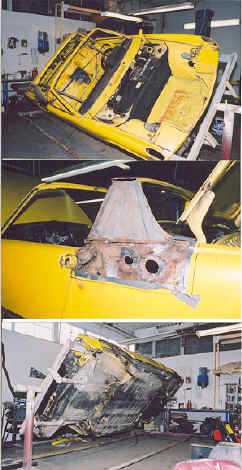 The underside has been meticulously stripped and seam-sealed to prevent any further corrosion. All suspension, brake and undercarriage parts have been stripped, rebuilt and repainted. 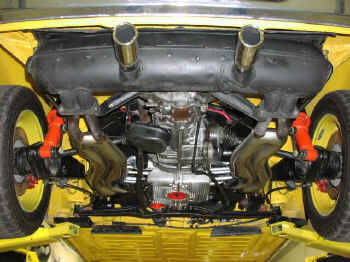 The finished car is pictured below.